Prime Minister Scott Morrison summoned the Turkish ambassador to a meeting after Erdogan appeared to threaten antipodean tourists who visit Turkey's Gallipoli peninsula. We want to keep our journalism open and accessible and be able to keep providing you with news and analysis from the frontlines of Israel, the Middle East and the Jewish World. Foreign Minister Winston Peters is on his way to Turkey to talk to the government about incendiary comments made by the President Recep Tayyip Erdogan. 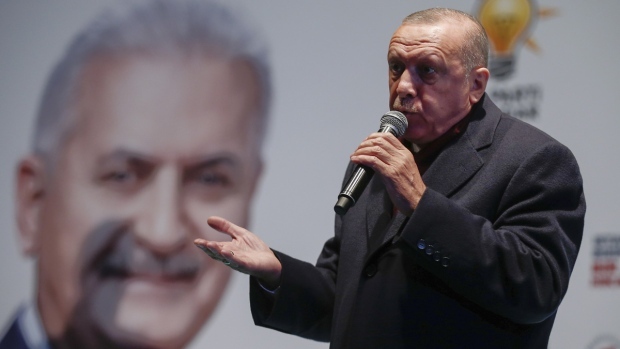 Mr Erdogan sparked fury Down Under after he used clips of last week's terror attack at a New Zealand mosque which killed 50 people, at an election rally in the northern town of Eregli. "I've asked for these comments, particularly their reporting of the misrepresented position of Australia on Turkish television, the state-sponsored broadcaster, to be taken down", he said. "If you come as well, like your grandfathers, be sure that you will be gone like your grandfathers". New Zealand has been trying to prevent the use of the videos. Australian security agencies are assessing whether it is safe for Australians to travel to Turkey for Anzac Day. Referring to antipodean visitors to Gallipoli, he said "Your grandparents came, some of them returned in coffins". Mr Morrison said he was "very offended" by the comments. "I will wait to see what the response is from the Turkish government before taking further action, but I can tell you that all options are on the table", Morrison told reporters in Canberra. Although the battle later helped cement friendship between the three countries, more than a century later it remains a highly sensitive subject in both Australia and New Zealand.